This article is about the Christian feast day. For other uses, see Epiphany. Epiphany (ee-PIFF-any; Koine Greek: Ἐπιφάνεια, Epiphaneia, "Manifestation", "striking appearance") or Theophany (Ancient Greek: (ἡ) Θεοφάνεια, Τheophaneia meaning "Vision of God"), also known as Three Kings' Day, is a Christian feast day that celebrates the revelation of God in his Son as human in Jesus Christ. In Western Christianity, the feast commemorates principally (but not solely) the visit of the Magi to the Christ child, and thus Jesus' physical manifestation to the Gentiles. Moreover, the feast of the Epiphany, in some Western Christian denominations, also initiates the liturgical season of Epiphanytide. Eastern Christians, on the other hand, commemorate the baptism of Jesus in the Jordan River, seen as his manifestation to the world as the Son of God. The traditional date for the feast is January 6. However, since 1970, the celebration is held in some countries on the Sunday after January 1. Eastern Churches following the Julian Calendar observe the Theophany feast on what for most countries is January 19 because of the 13-day difference today between that calendar and the generally used Gregorian calendar. In many Western Christian Churches, the eve of the feast is celebrated as Twelfth Night. The Monday after Epiphany is known as Plough Monday. Alternative names for the feast in Greek include (τα) Θεοφάνια, Theophany as neuter plural rather than feminine singular, η Ημέρα των Φώτων, i Imera ton Foton (modern Greek pronunciation), hē hēmera tōn phōtōn (restored classical pronunciation), "The Day of the Lights", and τα Φώτα, ta Fota, "The Lights". The Koine Greek ἐπιφάνεια, epiphaneia derives from the verb "to appear" and means "manifestation", "appearance". In classical Greek it was used of the appearance of dawn, of an enemy in war, but especially of a manifestation of a deity to a worshiper (a theophany). In the Septuagint the word is used of a manifestation of the God of Israel (2 Maccabees 15:27). In the New Testament the word is used in 2 Timothy 1:10 to refer either to the birth of Christ or to his appearance after his resurrection, and five times to refer to his Second Coming. The observance had its origins in the Eastern Christian Churches and was a general celebration of the manifestation of the Incarnation of Jesus Christ. It included the commemoration of his birth; the visit of the Magi, all of Jesus' childhood events, up to and including his baptism in the Jordan by John the Baptist; and even the miracle at the wedding at Cana in Galilee. It seems fairly clear that the Baptism was the primary event being commemorated. Christians fixed the date of the feast on January 6 quite early in their history. Ancient liturgies noted Illuminatio, Manifestatio, Declaratio (Illumination, Manifestation, Declaration); cf. Matthew 3:13–17; Luke 3:22; and John 2:1–11; where the Baptism and the Marriage at Cana were dwelt upon. Western Christians have traditionally emphasized the "Revelation to the Gentiles" mentioned in Luke, where the term Gentile means all non-Jewish peoples. The Biblical Magi, who represented the non-Jewish peoples of the world, paid homage to the infant Jesus in stark contrast to Herod the Great (King of Judea), who sought to kill him. In this event, Christian writers also inferred a revelation to the Children of Israel. Saint John Chrysostom identified the significance of the meeting between the Magi and Herod's court: "The star had been hidden from them so that, on finding themselves without their guide, they would have no alternative but to consult the Jews. In this way the birth of Jesus would be made known to all." The earliest reference to Epiphany as a Christian feast was in A.D. 361, by Ammianus Marcellinus St. Epiphanius says that January 6 is hemera genethlion toutestin epiphanion (Christ's "Birthday; that is, His Epiphany"). He also asserts that the Miracle at Cana occurred on the same calendar day. In 385, the pilgrim Egeria (also known as Silvia) described a celebration in Jerusalem and Bethlehem, which she called "Epiphany" (epiphania) that commemorated the Nativity of Christ. Even at this early date, there was an octave associated with the feast. In a sermon delivered on 25 December 380, St. Gregory of Nazianzus referred to the day as ta theophania ("the Theophany", an alternative name for Epiphany), saying expressly that it is a day commemorating he hagia tou Christou gennesis ("the holy nativity of Christ") and told his listeners that they would soon be celebrating the baptism of Christ. Then, on January 6 and 7, he preached two more sermons, wherein he declared that the celebration of the birth of Christ and the visitation of the Magi had already taken place, and that they would now commemorate his Baptism. At this time, celebration of the two events was beginning to be observed on separate occasions, at least in Cappadocia. Part VI of his Christmas Oratorio, Herr, wenn die stolzen Feinde schnauben, was also designed to be performed during the service for Epiphany. Two very familiar Christmas carols associated with Epiphany are "As with gladness, men of old", written by William Chatterton Dix in 1860 as a response to the many legends which had grown up surrounding the Magi, and "We Three Kings of Orient Are", written by the Reverend John Henry Hopkins, Jr., then an ordained deacon in the Episcopal Church, instrumental in organizing an elaborate holiday pageant (which featured this hymn) for the students of the General Theological Seminary in New York City in 1857 while serving as the seminary's music director. Another popular hymn, less known culturally as a carol, is "Songs of thankfulness and praise", with words written by Christopher Wordsworth and commonly sung to the tune St. Edmund by Charles Steggall. Until 1955, when Pope Pius XII abolished all but three liturgical octaves, the Latin Church celebrated Epiphany as an eight-day feast, known as the Octave of Epiphany, beginning on January 6 and ending on January 13. 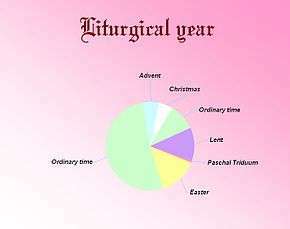 The Sunday within that octave was since 1893 the feast of the Holy Family, and Christmastide was reckoned as the twelve days ending on January 5, followed by the January 6–13 octave. The 1969 revision of the General Roman Calendar made the date to some extent variable, stating: "The Epiphany of the Lord is celebrated on 6 January, unless, where it is not observed as a holy day of obligation, it has been assigned to the Sunday occurring between 2 and 8 January." It also made the Feast of the Epiphany part of Christmas Time, which it defined as extending from the First Vespers of Christmas (the evening of December 24) up to and including the Sunday after Epiphany (the Sunday after January 6). Prior to 1976, Anglican churches also observed an eight-day feast, beginning on January 6. Today, The Epiphany of our Lord, classified as a Principal Feast, is observed in some Anglican provinces on January 6 exclusively (e.g., the Anglican Church of Canada) but in the Church of England the celebration is "on 6 January or transferred to the Sunday falling between 2 and 8 January". Lutheran, United Methodist and United Church of Christ congregations, along with those of other denominations, may celebrate Epiphany on January 6, on the following Sunday within the Epiphany week (octave), or at another time (Epiphany Eve January 5, the nearest Sunday, etc.) as local custom dictates. Eastern churches celebrate Epiphany (Theophany) on January 6. Some, as in Greece, employ the modern Revised Julian calendar, which until the year 2800 coincides with the Gregorian calendar, the one in use for civil purposes in most countries. Other Eastern churches, as in Russia, hold to the older Julian calendar for reckoning church dates. In these old-calendar churches Epiphany falls at present on Gregorian January 19 – which is January 6 in the Julian calendar. In some Churches, the feast of the Epiphany initiates the Epiphany season, also known as Epiphanytide. In Advent 2000, the Church of England, Mother Church of the Anglican Communion, introduced into its liturgy an optional Epiphany season by approving the Common Worship series of services as an alternative to those in the Book of Common Prayer, which remains the Church's normative liturgy and in which no such liturgical season appears. An official publication of the Church of England states: "The Christmas season is often celebrated for twelve days, ending with the Epiphany. Contemporary use has sought to express an alternative tradition, in which Christmas lasts for a full forty days, ending with the Feast of the Presentation on 2 February." It presents the latter part of this period as the Epiphany season, comprising the Sundays of Epiphany and ending "only with the Feast of the Presentation (Candlemas)". Another interpretation of "Epiphany season" applies the term to the period from Epiphany to the day before Ash Wednesday. Some Methodists in the United States followed this interpretation in 1964, as did Methodists in Singapore in 2014. Lutherans celebrate the last Sunday before Ash Wednesday as the Transfiguration of our Lord, and it has been said that they call the whole period from Epiphany to then as Epiphany season. The Evangelical Lutheran Church in America used the terms "Time after Epiphany" to refer to this period. The expression with "after" has been interpreted as making the period in question correspond to that of Ordinary Time. The Presbyterian Church (U.S.A.) states that neither Epiphany nor Pentecost are seasons, and that it is a misunderstanding to imagine that expressions such as "Fifth Sunday after Epiphany" indicate the existence of such a time as "Epiphany season". These expression merely indicate the passing of time, not the character of the period, for neither the period after Epiphany nor that that after Pentecost focus on a dominant event or theme. The correct term, it says, is therefore "Ordinary Time". In the Catholic Church, "Christmas Time runs from First Vespers (Evening Prayer I) of the Nativity of the Lord up to and including the Sunday after Epiphany or after 6 January"; and "Ordinary Time begins on the Monday which follows the Sunday occurring after 6 January". Before the 1969 revision of its liturgy, the Sundays following the Octave of Epiphany or, when this was abolished, following the Feast of the Baptism of the Lord, which was instituted to take the place of the Octave Day of Epiphany were named as the "Second (etc., up to Sixth) Sunday after Epiphany", as the at least 24 Sundays following Pentecost Sunday and Trinity Sunday were known as the "Second (etc.) Sunday after Pentecost". (If a year had more than 24 Sundays after Pentecost, up to four unused post-Epiphany Sundays were inserted between the 23rd and the 24th Sunday after Pentecost.) The Encyclopedia of Catholic Devotions and Practices, which has received the imprimatur of John Michael D'Arcy, with reference to Epiphanytide, thus states that "The Epiphany season extends from January 6 to Septuagesima Sunday, and has from one to six Sundays, according to the date of Easter. White is the color for the octave; green is the liturgical color for the season." Epiphany is celebrated by both the Eastern and Western Churches, but a major difference between them is precisely which events the feast commemorates. For Western Christians, the feast primarily commemorates the coming of the Magi, with only a minor reference to the baptism of Jesus and the miracle at the Wedding at Cana. Eastern churches celebrate the Baptism of Christ in the Jordan. In both traditions, the essence of the feast is the same: the manifestation of Christ to the world (whether as an infant or in the Jordan), and the Mystery of the Incarnation. The miracle at the Wedding at Cana is also celebrated during Epiphany as a first manifestation of Christ's public life. The Three Magi: Balthasar, Melchior, and Gaspar, from a late 6th century mosaic at the Basilica of Sant'Apollinare Nuovo in Ravenna, Italy. Even before the year 354, the Western Church had separated the celebration of the Nativity of Christ as the feast of Christmas and set its date as December 25; it reserved January 6 as a commemoration of the manifestation of Christ, especially to the Magi, but also at his baptism and at the wedding feast of Cana. In 1955 a separate feast of the Baptism of the Lord was instituted, thus weakening further the connection in the West between the feast of the Epiphany and the commemoration of the baptism of Christ. However, Hungarians, in an apparent reference to baptism, refer to the January 6 celebration as Vízkereszt, a term that recalls the words "víz" (water) and "kereszt, kereszt-ség" (baptism). Many in the West observe a twelve-day festival, starting on December 25, and ending on January 5, known as Christmastide or the Twelve Days of Christmas. However, for the Catholic Church today, "Christmas Time runs from First Vespers (Evening Prayer I) of the Nativity of the Lord up to and including the Sunday after Epiphany or after January 6", a period not limited to twelve days. Some Christian cultures, especially those of Latin America and some in Europe, extend the season to as many as forty days, ending on Candlemas (February 2). On the Feast of the Epiphany in some parts of central Europe the priest, wearing white vestments, blesses Epiphany water, frankincense, gold, and chalk. The chalk is used to write the initials of the three magi over the doors of churches and homes. The letters stand for the initials of the Magi (traditionally named Caspar, Melchior, and Balthasar), and also the phrase Christus mansionem benedicat, which translates as "may Christ bless the house". According to ancient custom, the priest announced the date of Easter on the feast of Epiphany. This tradition dated from a time when calendars were not readily available, and the church needed to publicize the date of Easter, since many celebrations of the liturgical year depend on it. The proclamation may be sung or proclaimed at the ambo by a deacon, cantor, or reader either after the reading of the Gospel or after the postcommunion prayer. The Roman Missal thus provides a formula with appropriate chant (in the tone of the Exsultet) for proclaiming on Epiphany, wherever it is customary to do so, the dates in the calendar for the celebration of Ash Wednesday, Easter Sunday, Ascension of Jesus Christ, Pentecost, the Body and Blood of Christ, and the First Sunday of Advent that will mark the following liturgical year. Russian icon of the Theophany (Kirillo-Belozersky Monastery, 1497). And there are those who have determined not only the year of our Lord's birth, but also the day… And the followers of Basilides hold the day of his baptism as a festival, spending the night before in readings. And they say that it was the fifteenth year of Tiberius Caesar, the fifteenth day of the month of Tubi; and some that it was the eleventh of the same month. If this is a reference to a celebration of Christ's birth, as well as of his baptism, on January 6, it corresponds to what continues to be the custom of the Armenian Apostolic Church, which celebrates the birth of Jesus on January 6 of the calendar used, calling the feast that of the Nativity and Theophany of Our Lord. Origen's list of festivals (in Contra Celsum, VIII, xxii) omits any reference to Epiphany. The first reference to an ecclesiastical feast of the Epiphany, in Ammianus Marcellinus (XXI:ii), is in 361. In parts of the Eastern Church, January 6 continued for some time as a composite feast that included the Nativity of Jesus: though Constantinople adopted December 25 to commemorate Jesus' birth in the fourth century, in other parts the Nativity of Jesus continued to be celebrated on January 6, a date later devoted exclusively to commemorating his Baptism. Today in Eastern Orthodox churches, the emphasis at this feast is on the shining forth and revelation of Jesus Christ as the Messiah and Second Person of the Trinity at the time of his baptism. It is also celebrated because, according to tradition, the baptism of Jesus in the Jordan River by St. John the Baptist marked one of only two occasions when all three Persons of the Trinity manifested themselves simultaneously to humanity: God the Father by speaking through the clouds, God the Son being baptized in the river, and God the Holy Spirit in the shape of a dove descending from heaven (the other occasion was the Transfiguration on Mount Tabor). Thus the holy day is considered to be a Trinitarian feast. The Orthodox consider Jesus' Baptism to be the first step towards the Crucifixion, and there are some parallels in the hymnography used on this day and the hymns chanted on Good Friday. Forefeast: The liturgical Forefeast of Theophany begins on January 1, and concludes with the Paramony on January 5. Paramony: The Eve of the Feast is called Paramony (Greek: παραμονή, Slavonic: navechérie). Paramony is observed as a strict fast day, on which those faithful who are physically able, refrain from food until the first star is observed in the evening, when a meal with wine and oil may be taken. On this day the Royal Hours are celebrated, thus tying together the feasts of Nativity and Good Friday. The Royal Hours are followed by the Divine Liturgy of St. Basil which combines Vespers with the Divine Liturgy. During the Vespers, fifteen Old Testament lections which foreshadow the Baptism of Christ are read, and special antiphons are chanted. If the Feast of the Theophany falls on a Sunday or Monday, the Royal Hours are chanted on the previous Friday, and on the Paramony the Vesperal Divine Liturgy of St. John Chrysostom is celebrated and the fasting is lessened to some degree. Theophany Crucession in Bulgaria. The priests are going to throw a wooden cross in the Yantra river. Believers will then jump into the icy waters to "save" the cross. Blessing of Waters: The Orthodox Churches perform the Great Blessing of Waters on Theophany. The blessing is normally done twice: once on the Eve of the Feast—usually at a Baptismal font inside the church—and then again on the day of the feast, outdoors at a body of water. Following the Divine Liturgy, the clergy and people go in a Crucession (procession with the cross) to the nearest body of water, be it a beach, harbor, quay, river, lake, swimming pool, water depot, etc. (ideally, it should be a body of "living water"). At the end of the ceremony the priest will bless the waters. In the Greek practice, he does this by casting a cross into the water. If swimming is feasible on the spot, any number of volunteers may try to recover the cross. The person who gets the cross first swims back and returns it to the priest, who then delivers a special blessing to the swimmer and their household. Certain such ceremonies have achieved particular prominence, such as the one held annually at Tarpon Springs, Florida. In Russia, where the winters are severe, a hole will be cut into the ice so that the waters may be blessed. In such conditions, the cross is not cast into the water, but is held securely by the priest and dipped three times into the water. 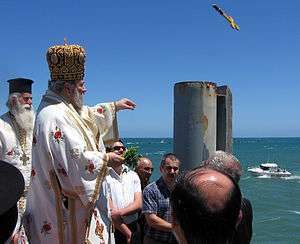 Greek Orthodox bishop at the Great Blessing of Waters on Theophany, releasing the cross off the Glenelg Jetty, South Australia, for one of the swimmers below to retrieve. The water that is blessed on this day is sometimes known as "Theophany Water", though usually just "holy water", and is taken home by the faithful, and used with prayer as a blessing. People will not only bless themselves and their homes by sprinkling with holy water, but will also drink it. The Orthodox Church teaches that holy water differs from regular water in that with holy water, the very nature of the water is changed and becomes incorrupt, a miracle attested to as early as St. John Chrysostom. 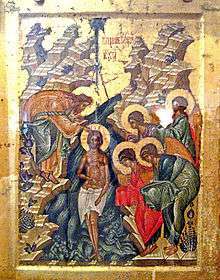 Theophany is a traditional day for performing Baptisms, and this is reflected in the Divine Liturgy by singing the baptismal hymn, "As many as have been baptized into Christ, have put on Christ. Alleluia," in place of the Trisagion. House Blessings: On Theophany the priest will begin making the round of the parishioner's homes to bless them. He will perform a short prayer service in each home, and then go through the entire house, gardens and outside-buildings, blessing them with the newly blessed Theophany Water, while all sing the Troparion and Kontakion of the feast. This is normally done on Theophany, or at least during the Afterfeast, but if the parishioners are numerous, and especially if many live far away from the church, it may take some time to bless each house. Traditionally, these blessings should all be finished before the beginning of Great Lent). Afterfeast: The Feast of Theophany is followed by an eight-day Afterfeast on which the normal fasting laws are suspended. The Saturday and Sunday after Theophany have special readings assigned to them, which relate to the Temptation of Christ and to penance and perseverance in the Christian struggle. There is thus a liturgical continuum between the Feast of Theophany and the beginning of Great Lent. In the Ethiopian Orthodox Church, the feast is known as Timkat and is celebrated on the day that the Gregorian calendar calls January 19, but on January 20 in years when Enkutatash in the Ethiopian calendar falls on Gregorian September 12 (i.e. when the following February in the Gregorian calendar will have 29 days). The celebration of this feast features blessing of water and solemn processions with the sacred tabot. A priest carries this to a body of water where it stays overnight, with the Metsehafe Qeddassie celebrated in the early morning. Later in the morning, the water is blessed to the accompaniment of the reading of the four Gospel accounts of the baptism of Jesus in the Jordan and the people are sprinkled with or go into the water. The tabot returns in procession to the church. Among the Syriac Christians the feast is called denho (up-going), a name to be connected with the notion of rising light expressed in Luke 1:78. In the Armenian Apostolic Church, January 6 is celebrated as the Nativity (Surb Tsnund) and Theophany of Christ. The feast is preceded by a seven-day fast. On the eve of the feast, the Divine Liturgy is celebrated. This liturgy is referred to as the Chragaluytsi Patarag (the Eucharist of the lighting of the lamps) in honor of the manifestation of Jesus as the Son of God. Both the Armenian Apostolic Church's and Assyrian Church of the East's liturgy is followed by a blessing of water, during which the cross is immersed in the water, symbolizing Jesus' descent into the Jordan, and holy myron (chrism) is poured in, symbolic of the descent of the Holy Spirit upon Jesus. The next morning, after the Liturgy, the cross is removed from the vessel of holy water and all come forward to kiss the cross and partake of the blessed water. Epiphany is celebrated with a wide array of customs around the world. In some cultures, the greenery and nativity scenes put up at Christmas are taken down at Epiphany. In other cultures these remain up until Candlemas on February 2. In countries historically shaped by Western Christianity (Roman Catholicism, Protestantism) these customs often involve gift giving, "king cakes" and a celebratory close to the Christmas season. In traditionally Orthodox nations, these celebrations typically center around water, baptismal rites and house blessings. In Argentina, Paraguay, and Uruguay, the day is called "Día de Reyes" (The Day of Kings, a reference to the Three Wise Men), commemorating the arrival of the Magi to confirm Jesus as son of God. The night of January 5 into the morning of January 6 is known as "Noche de Reyes" (The Night of Kings) and children leave their shoes by the door, along with grass and water for the camels. In the morning of January 6, they get a present. On January 6, a "Rosca de Reyes" (a ring-shaped Epiphany cake) is eaten and all Christmas decorations are traditionally put away. In Bulgaria, Epiphany is celebrated on January 6 and is known as Bogoyavlenie ("Manifestation of God"), Кръщение Господне (Krashtenie Gospodne or "Baptism of the Lord") or Yordanovden ("Day of Jordan", referring to the river). On this day, a wooden cross is thrown by a priest into the sea, river or lake and young men race to retrieve it. As the date is in early January and the waters are close to freezing, this is considered an honourable act and it is said that good health will be bestowed upon the home of the swimmer who is the first to reach the cross. In the town of Kalofer, a traditional horo with drums and bagpipes is played in the icy waters of the Tundzha river before the throwing of the cross. The Dutch and Flemish call this day Driekoningen, while German speakers call it Dreikönigstag (Three Kings' Day). In the Netherlands, Belgium, Luxembourg and neighboring Germany, children in groups of three (symbolising the three kings) proceed in costume from house to house while singing songs typical for the occasion, and receiving a coin or some sweets at each door. They may each carry a paper lantern symbolizing the star. In some places, especially Holland, these troupes gather for competitions and present their skits/songs for an audience. As in Belgium, Koningentaart (Kings' tart), puff pastry with almond filling, is prepared with a black bean hidden inside. Whoever finds the bean in his or her piece is king or queen for the day. A more typically Dutch version is Koningenbrood, or Kings' bread. Another Low Countries tradition on Epiphany is to open up doors and windows to let good luck in for the coming year. In Brazil, the day is called "Dia dos Reis" (The Day of Kings) and in the rest of Latin America "Día de Reyes" commemorating the arrival of the Magi to confirm Jesus as son of God. The night of January 5 into the morning of January 6 is known as "Night of Kings" (also called the Twelfth Night) and is feasted with music, sweets and regional dishes as the last night of Nativity, when Christmas decorations are traditionally put away. The feast of the Epiphany is celebrated by the Coptic Orthodox Church of Alexandria, which falls on 11 Tobe of the Coptic calendar, as the moment when in the baptism of Jesus the skies opened and God himself revealed to all as father of Jesus and all mankind. It is then a moment of revelation of epiphany. This celebration started to include all the processes of incarnation of Jesus, from his birth on Christmas until his baptism in the river Jordan. For the Coptic Orthodox Church it is also a moment in which the path of Jesus to the Cross begins. Therefore, in many celebrations there are certain similarities with the celebrations of Holy Friday during the time of Easter. Since the Epiphany is one of the seven great feasts of the Coptic Orthodox Church, it is a day of strict fasting, and several religious celebrations are held on this day. The day is related to the blessing of waters that are used all throughout the year in the church celebrations, and it is a privileged day to celebrate baptisms. It is also a day in which many houses are blessed with water. It may take several days for the local priest to bless all the houses of the parishioners that ask for it, and so the blessing of the houses may go into the after-feasts of the Epiphany celebrations. However, it must be done before the beginning of Lent. In England, the celebration of the Night before Epiphany, Epiphany Eve, is known as Twelfth Night (The first night of Christmas is December 25–26, and Twelfth Night is January 5–6), and was a traditional time for mumming and the wassail. The yule log was left burning until this day, and the charcoal left was kept until the next Christmas to kindle next year's yule log, as well as to protect the house from fire and lightning. In the past, Epiphany was also a day for playing practical jokes, similar to April Fool's Day. Today in England, Twelfth Night is still as popular a day for plays as when Shakespeare's Twelfth Night was first performed in 1601, and annual celebrations involving the Holly Man are held in London. A traditional dish for Epiphany was Twelfth Cake, a rich, dense, typically English fruitcake. As in Europe, whoever found the baked-in bean was king for a day, but unique to English tradition other items were sometimes included in the cake. Whoever found the clove was the villain, the twig, the fool, and the rag, the tart. Anything spicy or hot, like ginger snaps and spiced ale, was considered proper Twelfth Night fare, recalling the costly spices brought by the Wise Men. Another English Epiphany dessert was the jam tart, but made into a six-point star for the occasion to symbolize the Star of Bethlehem, and thus called Epiphany tart. The discerning English cook sometimes tried to use thirteen different colored jams on the tart on this day for luck, creating a dessert with the appearance of stained glass. In the Eritrean Orthodox Church and the Ethiopian Orthodox Church, the feast is known as Timkat and is celebrated on the day that the Gregorian calendar calls January 19, but on January 20 in years when Enkutatash in the Ethiopian calendar falls on Gregorian September 12 (i.e. when the following February in the Gregorian calendar will have 29 days). The celebration of this feast features blessing of water and solemn processions with the sacred Tabot. In Finland, Epiphany is called loppiainen, a name which goes back to the 1600s. In the 1500s the Swedish-Finnish Lutheran church called Epiphany "Day of the Holy Three Kings", while before this, the older term Epiphania was used. In the Karelian language Epiphany is called vieristä, meaning cross, from the Orthodox custom of submerging a cross three times to bless water on this day. Today, in the Lutheran church, Epiphany is a day dedicated to a focus on missionary work in addition to the Wise Men narrative. Between the years 1973 and 1991 Epiphany was observed in Finland on a Saturday each year no earlier than January 6, and no later than January 12. After that time however, the traditional date of January 6 was restored and has since been observed once again as a national public holiday. Piparkakut or Finnish gingerbread cookies, in the shape of a star, are a treat typically served on this day. These cookies are broken in the palm of one's hand, while making a silent wish. If a piparkakku star should break into three pieces, and all three are eaten without speaking a word, it is said that the wish will come true. The Christmas tree is traditionally taken out of the house on Epiphany. While the term loppiainen means "ending [of Christmas time]," in reality, Christmas celebrations in Finland are extended to Nuutti's or St. Canute's Day on January 13, completing the Scandinavian Twenty Days of Christmas. In France people share one of two types of king cake. In the northern half of France and Belgium the cake is called a galette des Rois, and is a round, flat, and golden cake made with flake pastry and often filled with frangipane, fruit, or chocolate. In the south, in Provence, and in the south-west, a crown-shaped cake or brioche filled with fruit called a gâteau des Rois is eaten. In Romandie, both typew can be found though the latter is more common. Both types of cake contain a charm, usually a porcelain or plastic figurine, called a fève (bean in French). The cake is cut by the youngest (and therefore most innocent) person at the table to assure that the recipient of the bean is random. The person who gets the piece of cake with the trinket becomes "king" or "queen" and wears a paper crown provided with the cake. This person has a choice between offering a beverage to everyone around the table (usually a sparkling wine or champagne), or volunteering to host the next king cake at their home. This can extend the festivities through all of January! January 6 is a public holiday in Austria, three federal states of Germany, and three cantons of Switzerland, as well as in parts of Graubünden. In the German-speaking lands, groups of young people called Sternsinger (star singers) travel from door to door. They are dressed as the three Wise Men, plus the leader carrying a star, usually of painted wood attached to a broom handle. Often these groups are four girls, or two boys and two girls for the benefit of singing their songs in four-part harmony, not necessarily three wise men at all. German Lutherans often note in a lighthearted fashion that the Bible never specifies that the Weisen (Magi) were men, or that there were three. The star singers will be offered treats at the homes they visit, but they also solicit donations for worthy causes, such as efforts to end hunger in Africa, organized jointly by the Catholic and Evangelical-Lutheran churches. As a sign of gratitude, the young people then perform the traditional house blessing, by marking the year over the doorway with chalk. In Roman Catholic communities this may be a serious spiritual event with the priest present even today, but among Protestants it is more a tradition, and a part of the German notion of Gemütlichkeit. Usually on the Sunday following Epiphany, these donations are brought into churches. Here all of the children who have gone out as star singers, once again in their costumes, form a procession of sometimes dozens of wise men and stars. The German Chancellor and Parliament also receive a visit from the star singers at Epiphany. Traditional house blessing in chalk, written by Sternsinger on the door beam of the home. Germans eat a Three Kings cake which may be a golden pastry ring filled with orange and spice representing gold, frankincense and myrrh. Most often found in Switzerland, these cakes take the form of Buchteln but for Epiphany, studded with citron, and baked as seven large buns in a round rather than square pan, forming a crown. Or they may be made of typical rich Christmas bread dough with cardamom and pearl sugar in the same seven bun crown shape. These varieties are most typically purchased in supermarkets with the trinket, and gold paper crown included. As in other countries, the person who receives the piece or bun containing the trinket or whole almond becomes the king or queen for a day. Epiphany is also an especially joyful occasion for the young and young at heart as this is the day dedicated to plündern – that is, when Christmas trees are "plundered" of their cookies and sweets by eager children (and adults) and when gingerbread houses, and any other good things left in the house from Christmas are devoured. Lastly, there is a German rhyme saying, or Bauernregel, that goes Ist's bis Dreikönigs kein Winter, kommt keiner dahinter meaning "If there hasn't been any Winter (weather) until Epiphany, none is coming afterward." Another of these Bauernregel, (German farmer's rules) for Epiphany states: Dreikönigsabend hell und klar, verspricht ein gutes Weinjahr or "If the eve of Epiphany is bright and clear, it foretells a good wine year." In Greece, Cyprus and the Greek diaspora throughout the world, the feast is called the Theophany, or colloquially called the Phōta (Greek: Φώτα, "Lights") and customs revolve around the Great Blessing of the Waters. It marks the end of the traditional ban on sailing, as the tumultuous winter seas are cleansed of the mischief-prone kalikántzaroi, the goblins that try to torment God-fearing Christians through the festive season. At this ceremony, a cross is thrown into the water, and the men clamour to retrieve it for good luck. The Phota form the middle of another festive triduum, together with Epiphany Eve, January 6 (and eve of January 5), when children sing the Epiphany carols, and the great feast of St. John the Baptist on January 7 (and eve of January 6), when the numerous Johns and Joans celebrate their name-day. The Feast of Epiphany includes many events which are perpetuating the ancient Greek customs. In the perception of the Greek people, Epiphany is "Great celebration Theotromi". For some even regions of Macedonia (West) are the biggest festival of the year and each new garment "protoforoun the lights to illuminate." But when dogmatic The Baptism of Christ symbolizes the rebirth of man having so great importance, which is why until the fourth century Christians celebrated New Year in Baptism of Christ on January 6. Epiphany is the "water sanctification" the dive of the Cross in imitation of the Baptism of Christ. But in Greek ethimology, that Sanctification is the notion of expiation, purification of the people and the exemption from the influence of demons. The most recently this concept is certainly not strictly Christian, but has roots in ancient worship. In most parts of Greece sanctification for the first time (in those days) the eve of Epiphany called "small sanctification" or "Protagiasi" or "Enlightenment". By protagiasi the priest turns all the houses and the Cross and one strand royal "sanctifies" or "brighten" (sprinkling) rooms of houses. The protagiasi is the effective means by which permitted in wild flight goblins except the lighting of a large outdoor fire. The Great Blessing however is the day of the Epiphany in the Churches in a special rig embellished upon which brought large pot full of water. Then, a dive of Cross Sea or nearby river or lake or the need to tank (as in Athens). Diving the Cross, according to popular belief gives the water cleansing and sanitizing capabilities. The inhabitants of many areas after diving run on sea beaches or along rivers or lakes and wash their agricultural tools and even icons. In common folk belief even the icons with the passage of time lose their original strength and value to the gain but again the holy water. It is this process not only exactly true survival of ancient beliefs. The ancient example Athenians had the ceremony (procedure) of known "Wash" as it was called at that carried "in procession" on the Faliro coast of the statue of Athena. There, they washed with salt water to cleanse from Fmoc and renewed the sacred powers of the statue. At Delphi the Theophania was an annual festival celebrating the return of Apollo from his winter quarters in Hyperborea. Today, women in many parts repeating this ancient custom of washing the images but combined with other instruments of medieval and ancient magic. As the plate of Mytilene while the divers dive to catch the Cross women at the same time "getting a detaining (= pumpkin) water from 40 waves and then with cotton dipped it clean icons without talking to throughout this process ("dumb water") and then the water is thrown out of the not pressed (in the crucible of the church). The first Blessing of Epiphany, "the protagiasi or enlightenment" is the eve of the feast in the church. Then the priest takes one by one the houses with the Cross in his hand and sprinkles with one strand basil throughout the home. Old tradition of Crete, was the preparation of Fotokollyvon the eve of Epiphany. From Fotokollyva (boiled wheat with legumes) ate housewives but they gave and their animals for good health and good luck in their home. The great sanctification is the day of the Epiphany on January 5. 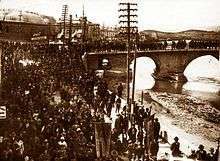 A large procession formed and takes the road leading to the sea or a river, maybe a tank. Confronting the cherubim behind the priests in their best vestments, after the authorities of the place and parapiso the crowd. In the cities the procession becomes richer with the music and the military faction. Once sanctification, the priest throws a cross in the water, thereby realizing the Blessing of the Waters. Celebrations in Guadeloupe have a different feel from elsewhere in the world. Epiphany here does not mean the last day of Christmas celebrations, but rather the first day of Kannaval (Carnival), which lasts until the evening before Ash Wednesday. Carnival in turn ends with the grand brilé Vaval, the burning of Vaval, the king of the Kannaval, amidst the cries and wails of the crowd. In parts of southern India, Epiphany is called the Three Kings Festival and is celebrated in front of the local church like a fair. Families come together and cook sweet rice porridge called Pongal. This day marks the close of the Advent and Christmas season and people remove the cribs and nativity sets at home. In Goa Epiphany may be locally known by its Portuguese name Festa dos Reis. In the village of Reis Magos, in Goa, there is a fort called Reis Magos (Wise Men) or Três Reis Magos for three wise men. Celebrations include a widely attended procession, with boys arrayed as the Three Kings, leading to the Franciscan Chapel of the Magi near the Goan capital of Panjim. 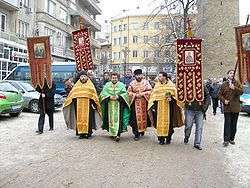 Other popular Epiphany processions are held in Chandor. Here three young boys in regal robes and splendid crowns descend the nearby hill of Our Lady of Mercy on horseback towards the main church where a three-hour festival Mass is celebrated. The route before them is decorated with streamers, palm leaves and balloons with the smallest children present lining the way, shouting greetings to the Kings. The Kings are traditionally chosen, one each, from Chandor's three hamlets of Kott, Cavorim and Gurdolim, whose residents helped build the Chandor church in 1645. In the past the kings were chosen only from among high-caste families, but since 1946 the celebration has been open to all. Participation is still expensive as it involves getting a horse, costumes, and providing a lavish buffet to the community afterwards, in all totaling some 100,000 rupees (about US$2,250) per king. This is undertaken gladly since having son serve as a king is considered a great honour and a blessing on the family. Cansaulim in South Goa is similarly famous for its Three Kings festival, which draws tourists from around the state and India. Three boys are selected from the three neighbouring villages of Quelim, Cansaulim and Arrosim to present the gifts of gold, frankincense and myrrh in a procession. Only a native of these villages may serve as king; outsiders are barred from the role. Throughout the year, excitement runs high in the villages to see who will be chosen. The boys selected are meticulously groomed, and must grow their hair long in time for the festival. The procession involves the three kings wearing jeweled red velvet robes and crowns, riding white horses decked with flowers and fine cloth, and they are shaded by colourful parasols, with a retinue of hundreds. The procession ends at the local church built in 1581, and in its central window a large white star hangs, and coloured banners stream out across the square from those around it. Inside, the church will have been decorated with garlands. After presenting their gifts and reverencing the altar and Nativity scene, the kings take special seats of honour and assist at the High Mass. The Saint Thomas Christians of Kerala State, Epiphany is known by its Syriac name Denha. Saint Thomas Christians, like other Eastern Christians, celebrate Denha as a great feast to commemorate the Baptism of Jesus in the river Jordan. The liturgical season Denhakalam ("Weeks of Epiphany") commemorates the second revelation at the Baptism and the subsequent public life of Jesus. Denha is celebrated on January 6 by the Syro-Malabar Church, the largest Church of the Thomas Christians, in two ways – Pindiperunnal ("Plantain trunk feast") and Rakkuliperunal ("Feast with a night bath"). The Irish call Epiphany the Feast of the Epiphany or traditionally Little Christmas or "Women's Christmas" (Irish: Nollaig na mBan). On the feast of the Three Kings, women traditionally rested and celebrated for themselves after the cooking and work of the Christmas holidays. The custom was for women to gather on this day for a special meal, but on the occasion of Epiphany accompanied by wine, to honor the Miracle at the Wedding at Cana. Today, women may dine at a restaurant or gather in a pub in the evening. They may also receive gifts from children, grandchildren or other family members on this day. Other Epiphany customs, which symbolize the end of the Christmas season, are popular in Ireland, such as the burning the sprigs of Christmas holly in the fireplace which have been used as decorations during the past twelve days. The Epiphany celebration serves as the initial setting for – and anchors the action, theme, and climax of – James Joyce's short story The Dead from his 1914 collection, Dubliners. In Italy, Epiphany is associated with the figure of the Befana (the name being a corruption of the word Epifania), a broomstick-riding old woman who, in the night between January 5 and 6, brings gifts to children, and/or a lump of "coal" (really black candy) for the times they have not been good during the year. The legend told of her is that, having missed her opportunity to bring a gift to the child Jesus together with the Three Wise Men, she now brings gifts to other children on that night. Epiphany is known in Latvia as Trijkungu diena (Three Kings Day) by Catholics or Zvaigznes diena (Star Day) by Lutherans after the custom of star singing, and the Star of Bethlehem which led the Magi to the Christ Child. In the past bright stars of fabric were sewn onto the background of dark colored quilts, representing the night sky. Epiphany was a day of enjoyment, spent in horse-drawn open sleighs, and these quilts would then be taken along to cover the laps of the merry riders. If Epiphany Day was bright and mild and the sun “warmed the horses’ backs” it was said that the coming year would bring only peace. If the night before Epiphany saw clear starry skies, it meant Latvia could expect a fine harvest in the coming Summer. Weaving and wood-cutting were “bad luck", giving both men and women a proper holiday, and if a dog was heard barking on Epiphany one ought to look for his or her future spouse in that same direction. Special three corner apple cakes are eaten on this day, and as in other countries, star singing, visiting and house blessings have long been popular. Epiphany, celebrated on January 6, is the feast for the Roman Church that commemorates the visit of the Wise Men, the magi. However, in the Maronite Church, in accordance with the ancient tradition, it represents the public announcement of Jesus’ mission when he was baptized in the Jordan by John the Forerunner, also known as “John the Baptist”. On the occasion, Lebanese Christians pray for their deceased. It is celebrated by attending church most often to the midnight mass by the maronites. The reason why it is a midnight is because the Christ will be passing to bless homes, also Lebanese Christians who gathered for the mass congratulate each other on that day by saying: "El Deyim Deyim" (Arabic: دايم دايم‎‎) which translates as "The permanent is permanent". They also mix dough made out of water and flour only and it rises outdoors with no yeast by being blessed. Epiphany in Macedonia is known as Vodici (Водици). On this day the priest throws a wooden cross into the water, to symbolize the baptism of Christ. Men jump into the cold water to retrieve the cross, and whoever retrieves it is believed to be blessed during the whole year. These are very festive gatherings with lots of spectacles attending the sites. Special food jelly form pork and beef meat and bones called "pacha" (пача) or "pivtii" (пивтии) is prepared the day before, but served on the day after Epiphany, together with warm local brandy, rakija (ракија). Epiphany is a non-working day for the Orthodox believers in Macedonia. In Malta, Epiphany is commonly known as It-Tre Re (The Three Kings). Until the 1980s, January 6 was a public holiday, but today the Maltese are celebrating Epiphany on the first Sunday of the year. Children and students still take January 6 as a school holiday and Christmas decorations are lit up through this day on most public streets. The Maltese also have a long-standing custom of presenting concerts in honor of Epiphany, including the prestigious annual Epiphany Concert organized by the Malta Council for Culture and Arts, performed by the National Orchestra. In 2010, the Epiphany Concert which used to be held before a select audience, was opened to the general public following a decision by the President. The Ministry of Education and Culture therefore moved from the venue from the Palace to the historic Sacra Infermeria, also known as the Mediterranean Conference Centre. Qagħaq tal-Għasel or tal-Qastanija (Maltese honey rings) are typically served at Epiphany in Malta. The evening of January 5 marks the Twelfth Night of Christmas and is when the figurines of the three wise men are added to the nativity scene. Traditionally in Mexico, as with many other Latin American countries, Santa Claus doesn't hold the cachet that he does in the United States. Rather, it is the three wise men who are the bearers of gifts, who leave presents in or near the shoes of small children. Mexican families also commemorate the date by eating Rosca de reyes. 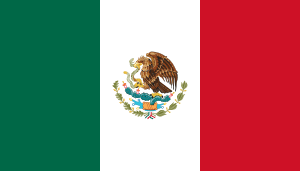 In modern Mexico however, and particularly in the larger cities and in the North, local traditions are now being observed and intertwined with the greater North American Santa Claus tradition, as well as with other holidays such as Halloween, due to Americanization via film and television, creating an economy of gifting tradition that spans from Christmas Day until January 6. Peru shares Epiphany customs with Spain and the rest of Latin America. Peruvian national lore holds that Francisco Pizarro was the first to call Lima "Ciudad de los Reyes" (City of the Kings) because the date of the Epiphany coincided with the day he and his two companions searched for, and found, an ideal location for a new capital. Even more popular in Peru than gift giving is the custom of the Bajada de Reyes when parties are held in honor of the taking down of family and public nativity scenes, and carefully putting them away until the next Christmas. In the Philippines, the long Christmas season traditionally ends on this day, known colloquially as "Three Kings" or Tres Reyes (Filipino: Tatlóng Harì). Filipino children also leave their shoes out, so that the Kings will leave behind gifts like candy or money inside. Most others on this day simply give the common greeting of "Happy Three Kings!". In some localities, there is the practice of having three men or three boys, dressed as the Tatlóng Harì, ride around on horseback, distributing trinkets and candy to the children of the area. The collective name for the group is immortalised as the Filipino surname Tatlóngharì. The Spanish name for the holiday has survived to the present in the Philippines as the masculine given name Epifanio (e.g. Epifanio de los Santos). Due to American influence, the position of the Three Kings as gift-givers has most likely been supplanted by Santa Claus. In Poland, Epiphany, or "Trzech Króli" (Three Kings) is celebrated in grand fashion, with huge parades held welcoming the Wise Men, often riding on camels or other animals from the zoo, in Warsaw, Poznań and other cities. The Wise Men pass out sweets, children process in renaissance wear, carols are sung, and living nativity scenes are enacted, all similar to celebrations in Italy or Spain, pointing to the country’s Catholic heritage. Children may also dress in colors signifying Europe, Asia, and Africa (the supposed homes of the Wise Men) and at the end of the parade route, church leaders often preach on the spiritual significance of the Epiphany. In 2011, by an act of Parliament, Epiphany was restored as an official non-working national public holiday in Poland for the first time since it was cancelled under communism fifty years earlier. Poles though take small boxes containing chalk, a gold ring, incense and a piece of amber, in memory of the gifts of the Magi, to church to be blessed. Once at home, they inscribe "K+M+B+" and the year with the blessed chalk above every door in the house, according to tradition, to provide protection against illness and misfortune for those within. The letters, with a cross after each one, are said to stand either for the traditionally applied names of the Three Kings in Polish – Kacper, Melchior and Baltazar – or for a Latin inscription meaning “Christ bless this house.” They remain above the doors all year until they are inadvertently dusted off or replaced by new markings the next year. On January 6, as in much of Europe, a Polish style Three Kings cake is served with a coin or almond baked inside. The one who gets it is king or queen for the day, signified by wearing the paper crown that decorates the cake. According to Polish tradition this person will be lucky in the coming year. Recipes vary by region. Some serve a French-type puff pastry cake with almond paste filling, others favor a sponge cake with almond cream filling, and yet others enjoy a light fruitcake. Epiphany in Poland also signals the beginning of zapusty or carnival time, when pączki (doughnuts) and chrust (Angel wings) are served. In Portugal, Epiphany, January 6, is called dia dos Reis (Day of the Kings), during which the traditional Bolo Rei (King cake) is baked and eaten. Plays and pageants are popular on this day, and parents often hold parties for their children. Epiphany is also a time when the traditional Portuguese dances known as Mouriscadas and Paulitos are performed. The latter is an elaborate stick dance. The dancers, who are usually men but may be dressed as women, manipulate sticks or staves (in imitation swords) in two opposing lines. It is a tradition too in Portugal for people to gather in small groups and to go from house to house to sing the Reis (meaning "Kings") which are traditional songs about the life of Jesus. The singers also bring greetings to the owners of the house. After singing for a while outside, they are invited in, and the owners of the house offer them sweets, liqueurs, and other Epiphany delicacies. These Reis usually begin on Epiphany eve and last until January 20. In Puerto Rico, Epiphany is an important festive holiday, and is commonly referred as Dia de Los Tres Reyes Magos, or Three Kings' Day. It is traditional for children to fill a box with fresh grass or hay and put it underneath their bed, for the Wise Men's camels. The three kings will then take the grass to feed the camels and will leave gifts under the bed as a reward. These traditions are analogous to the customs of children leaving mince pies and sherry out for Father Christmas in Western Europe or leaving milk and cookies for Santa Claus in the United States. On the day before the feast (January 5), the "Rosario de Reyes" or "Promesa de Reyes" is celebrated with songs (aguinaldos) promised to be sung to the Kings, usually before a little table with figures of the Nativity and the Kings or with the Kings alone and their camels. This celebration is accompanied with a chicken soup, snacks, and drinks. Star boys. Postage stamp depicting traditional Christmas & Epiphany star singing in Moldova. In Romania and Moldova, Epiphany, is called Boboteaza. In south-eastern Romania, following religious services, men participate in winter horse races. Before the race, the men line up with their horses before the priest, who will bless them by sprinkling them with green branches that have been dipped into Epiphany holy water. Sometimes people desire to have this blessing for themselves as well. Winning the Epiphany race is a great honor for both horse and rider, while the post-race celebrations, win or not, are highly festive. As in other Orthodox heritage countries, water rites play a special role on this day. A unique piece of Romanian folk wisdom holds that if a girl slips on ice – or better yet falls into water- on Epiphany, she will surely marry before the year is out. In Transylvania (Erdély/Siebenbürgen), Lutheran and Reformed Christians of Hungarian and Saxon descent celebrate Epiphany with star singing and house blessing, as in Central Europe. The star singing custom had long ago spread throughout Romania and the Republic of Moldova. Here the star, called Steaua, today resembles a stained-glass lantern and features an orthodox icon at its center, a tradition pointing to the blending of both East and West which characterizes the two nations on the river Prut. The Epiphany, celebrated in Russia on January 19, marks the baptism of Jesus in the Orthodox Church. As elsewhere in the Orthodox world, the Russian Church conducts the rite of the Great Blessing of the Waters, also known as "the Great Sanctification of the Water" on that day (or the eve before). The priest-led procession could simply proceed to the font, but traditionally the worshipers would go to a nearby lake or river. Historical records indicate that the blessing of the waters events took place at the courts of Moscow Czars since no later than 1525. According to historians, the blessing of the waters procession was the most magnificent of the annual Czar's court's ceremonies, comparable only to such special events as royal coronations and weddings. After a divine liturgy in the Kremlin's Dormition Cathedral, the procession, led by the Czar and the Patriarch of Moscow would proceed to the frozen Moscow River. A small gazebo, called Iordan', would have been erected on the ice and decorated with holy icons, one of which would depict the Baptism of Christ. The Patriarch would immerse his cross into the river's water; and sprinkle the Czar, his boyars, and the banners of Czar's army's regiments with the holy water. A load of holy water would then be brought back to the Kremlin, to be used in blessing the Czar's palace. On a smaller scale, similar events would take place in the parishes throughout the nation. Believing that on this day water becomes holy and is imbued with special powers, Russians cut holes in the ice of lakes and rivers, often in the shape of the cross, to bathe in the freezing water. This practice is said to be popularized comparatively recently; it was fairly uncommon in the czarist days, but has flourished since the 1990s. Participants in the ritual may dip themselves three times under the water, honoring the Holy Trinity, to symbolically wash away their sins from the past year, and to experience a sense of spiritual rebirth. Orthodox priests are on hand to bless the water, and rescuers are on hand to monitor the safety of the swimmers in the ice-cold water. Others limit their participation in the Epiphany rites to those conducted inside churches, where priests perform the Great Blessing of Waters, both on Epiphany Eve and Epiphany (Theophany) proper. The water is then distributed to attendees who may store it to use in times of illness, to bless themselves, family members, and their homes, or to drink. Some Russians think any water – even from the taps on the kitchen sink – poured or bottled on Epiphany becomes holy water, since all the water in the world is blessed this day. In the more mild climate of the southern city of Sochi meanwhile, where air and water temperatures both hover in the low to mid 10 degree Celsius range (50 degrees Fahrenheit) in January, thousands of people jump into the Black Sea at midnight each year on Epiphany and begin to swim in celebration of the feast. In Slovenia, especially in the Western part of the country, during the first day of the year and on Epiphany, children go from house to house because villagers will give them almonds, dried figs, nuts, cookies or other good things that they have at home. 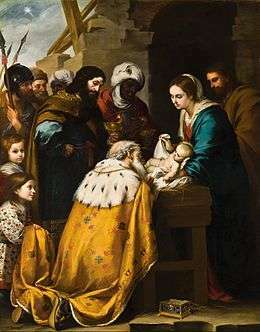 In Spain and some Latin American countries, Epiphany day is called El Día de los Reyes (The Day of the Kings), i.e., the day when a group of Kings or Magi, as related in the second chapter of the Gospel of Matthew, arrived to worship and bring three gifts to the baby Jesus after following a star in the heavens. This day is sometimes known as the Día de los Tres Reyes Magos (The day of the Three Royal Magi) or La Pascua de los Negros (Holy Day of the Black men) in Chile, although the latter is rarely heard. In Spanish tradition on January 6, three of the Kings: Melchior, Gaspar, and Balthazar, representing Arabia, the Orient, and Africa, arrived on horse, camel and elephant, bringing respectively gold, frankincense and myrrh to the baby Jesus. Before going to bed on the eve of January 6, children polish their shoes and leave them ready for the Kings' presents to be put in them. The next morning presents will appear under their shoes, or if the children are deemed to have misbehaved during the year, coal (usually a lump of hard sugar candy dyed black, called Carbón Dulce). Most towns in Spain arrange colorful parades representing the arrival of the Reyes Magos to town so children can see them in their camels or carriages before they go to bed. The oldest of this parades is held in Alcoy, Alicante – Alacant, Valencia, which has hosted an annual parade since 1885. Sweet wine, nibbles, fruit and milk are left for the Kings and their camels. In Spain, children typically receive presents on this day, rather than on Christmas, though this tradition has changed lately, and children now receive presents on both days. In Spain the Epiphany bread/cake is known as Roscón and in Mexico as Rosca de reyes. Epiphany is a public holiday in Sweden, where it is known as "trettondedag jul" ("Thirteenth Day Yule"), as January 6 is the thirteenth day after Christmas Eve, the main day on which Christmas is celebrated in Sweden. However, the end of the Christmas celebration is on January 13, St. Knut's Day, more commonly known as "Twentieth Day Yule" (or "Twentieth Day Knut"). King cakes of the type locally called "French style" on display at the chain bakery/restaurant "La Madeline" branch in Carrollton, New Orleans. They come with cardboard "crowns" to be worn by whoever gets the slice with the token and becomes monarch of the event. In Louisiana, Epiphany is the beginning of the Carnival season, during which it is customary to bake King Cakes, similar to the Rosca mentioned above. It is round in shape, filled with cinnamon, glazed white, and coated in traditional carnival color sanding sugar. The person who finds the doll (or bean) must provide the next king cake. The interval between Epiphany and Mardi Gras is sometimes known as "king cake season", and many may be consumed during this period. The Carnival season begins on King's Day (Epiphany), and there are many traditions associated with that day in Louisiana and along the Catholic coasts of Mississippi, Alabama, and Florida. King cakes are first sold then, Carnival krewes begin having their balls on that date, and the first New Orleans krewe parades in street cars that night. In Colonial Virginia, Epiphany, or 12th Night, was an occasion of great merriment, and was considered especially appropriate as a date for balls and dancing, as well as for weddings. On 12th Night, Great Cake was prepared, consisting in two giant layers of fruitcake, coated and filled with royal icing. Custom dictated that the youngest child present cut and serve the cake and whoever found the bean or prize in the Twelfth Night cake was crowned "King of the Bean" similar to the European king cake custom. Tarpon Springs, Florida is known for elaborate religious ceremonies related to the Greek Orthodox Church, the most notable being the Epiphany celebration. The Metropolitan of Atlanta usually presides over the blessings, sometimes joined by the Archbishop of America. The blessings conclude with the ceremonial throwing of a wooden cross into the city's Spring Bayou, and boys ages 16 to 18 diving in to retrieve it. Whoever recovers the cross is said to be blessed for a full year. Following the blessings, the celebration moves to the Sponge Docks where food and music are made part of the festivities. Tarpon Springs has given itself the nickname Epiphany City. The celebration attracts Greek Americans from across the country, and the city's population is known to triple in size for that day. In Manitou Springs, Colorado, Epiphany is marked by the Great Fruitcake Toss. Fruitcakes are thrown, participants dress as kings, fools, etc., and competitions are held for the farthest throw, the most creative projectile device, etc. As with customs in other countries, the fruitcake toss is a sort of festive symbolic leave-taking of the Christmas holidays until next year, but with humorous twist, since fruitcake (although the traditional Christmas bread of America, England and other English speaking nations) is considered in the United States with a certain degree of derision, and is the source of many jokes. On January 9, the Feast of the Epiphany has long been an important celebration in Wales, known there as Ystwyll. In Glamorganshire, a huge loaf or cake was prepared, which was then divided up into three parts to represent Christ, the Virgin Mary and the three Wise Men. A large company of neighbors was invited to be present at the dividing of the cake in which rings were concealed. Whoever discovered a ring in his piece of cake (or bread) was elected as King or Queen and presided over the day's festivities. January 6 was the old-calendar Christmas Day and many of the festivities connected with it lasted well over a century after the new calendar was introduced in 1752. Wales shares other Twelfth Night customs with its neighbor, England, including the yule log, and the wassail to wish farmers a good harvest in the coming year, but here the yule log's ashes were saved then buried along with the seeds planted in the ensuing spring to ensure a good harvest, while the wassail bowl was taken to the house of newlyweds or to a family which had recently come to live in the district and songs sung outside the house door. Those inside the house would recite or sing special verses, to be answered by the revelers outside. ↑ "Online Etymological Dictionary". Etymonline.com. Retrieved December 22, 2011. ↑ "The Byzantine Blessing of Water on the Vigil of the Epiphany". ↑ "Liddell and Scott: "Θεοφάνεια"". Perseus Digital Library. Retrieved December 22, 2011. ↑ Heiligman, Deborah (2007). Celebrate Christmas. National Geographic. p. 27. ISBN 9781426301223. At the end of the Twelve Days of Christmas comes a special day called the Epiphany, or Three Kings Day. This holiday, which falls on January 6th, is celebrated as the day when the three wise men, also called the three kings, first saw baby Jesus and gave him gifts. ↑ "Epiphany and Epiphanytide". The Parish of St Clement and St James. The Church of England. December 23, 2013. Retrieved December 15, 2014. The current pattern in the Anglican Church is to have an extended Epiphany season (called Epiphanytide). This is why Nativity scenes are sometimes kept in churches throughout January. Epiphanytide: Rather confusingly, however, the other two main ‘manifestations’ marked in Epiphanytide concern Jesus as an adult: his baptism in the River Jordan, when the Holy Spirit descends on him in the form of a dove (on the Sunday after Epiphany), and his first sign: the turning of water into wine at the marriage feast in Cana in Galilee. This latter event – the third ‘epiphany’ of the season – is only to be found in John’s gospel. 1 2 "Epiphany". Christian Advocate. United Methodist Publishing House. 7: 15. 1963. ...in Methodist usage the Epiphany Season includes all the Sundays between that date and Ash Wednesday, which for 1964 will be February 12, the beginning of Lent. ↑ The Church Eclectic. XXV. The Young Churchman Co. 1898. p. 1089. The Provincial Synod established in 1883 the Domestic and Foreign Missionary Society of the Church of England in Canada, framed largely upon the Domestic and Foreign Missionary Society of the American Church. No concerted action had been taken by the Church in Canada till the formation of this society but by the regular issuing of appeals from the Board of Management each year, at Ascensiontide for Domestic, and at Epiphanytide for Foreign Missions, a certain amount of interest in the great question of missions has been created. ↑ "The Origins and Spirituality of the Epiphany". Catholicireland.net. February 14, 1969. Archived from the original on November 27, 2011. Retrieved December 22, 2011. ↑ "The Calendar of the Orthodox Church". Goarch.org. Retrieved December 22, 2011. ↑ Holger Oertel (September 22, 2007). "The Julian Calendar". Ortelius.de. Retrieved December 22, 2011. ↑ "Twelve days of Christmas". Full Homely Divinity. Retrieved January 2, 2015. We prefer, like good Anglicans, to go with the logic of the liturgy and regard January 5th as the Twelfth Day of Christmas and the night that ends that day as Twelfth Night. That does make Twelfth Night the Eve of the Epiphany, which means that, liturgically, a new feast has already begun. ↑ "The Bridge". The Diocese of Southwark. Newsletter dated December 2011/January 2012. 1 2 "Lexicon". Blue Letter Bible. Retrieved December 22, 2011. ↑ Nicholas Pokhilko, "History of Epiphany": "The birth of Christ, the story of the Magi, Christ’s baptism, His divine manifestation, miracle at Cana, and the feeding of the crowds formed the festival of Epiphany on January 6 as indicated in earlier Alexandrian and Syrian traditions." ↑ Cyril Martindale, The Catholic Encyclopedia, Vol. 5 (Robert Appleton Company, New York 1905), s.v., Epiphany. ↑ Paul F. Bradshaw (editor), ''The New SCM Dictionary of Liturgy and Worship (SCM Press 2002 ISBN 0-334-02883-3), p. 167. Books.google.ie. Retrieved December 22, 2011. ↑ Craig S. Keener, Matthew, 1997, (InterVarsity Press, Downers Grove, Illinois, USA), ISBN 0-8308-1801-4, page 65. ↑ Ammianus Marcellinus, XXI, ii. ↑ Epiphanius, chapters xxviii and xxix P.G., XLI, 940 sq. ↑ Nazianzus, Orations xxxix and xl P.G. ↑ Nazianzus, & col. 349. ↑ "Cantata No. 65, "Sie werden aus Saba alle kommen," BWV 65 (BC A27) – Johann Sebastian Bach, Johann Sebastian Bach – Details, Parts / Movements and Recordings – AllMusic". AllMusic. ↑ "Die Kantaten von Johann Sebastian Bach". ↑ "As with Gladness, Men of Old". Retrieved November 25, 2016. ↑ "As with Gladness Men of Old". Retrieved November 25, 2016. 1 2 The Calendar. The Prayer Book Society of Canada. Retrieved January 5, 2015. ↑ "O Morning Star, How Fair & Bright". YouTube. January 7, 2008. Retrieved December 22, 2011. ↑ "Epiphany Service: 1/8/2011, 5:15pm at Christ Lutheran Church – The Wichita Eagle". Events.kansas.com. January 8, 2011. Retrieved December 22, 2011. ↑ Evangelical Lutheran Church in America Archived May 28, 2013, at the Wayback Machine. ↑ "Ordinary Time Resource Guide". ↑ "Ordinary Time (After Epiphany)". Imago Dei Anglican Church - Greater Bangor, Maine. ↑ Ball, Ann (2003). Encyclopedia of Catholic Devotions and Practices. Our Sunday Visitor Publishing. p. 188. ISBN 9780879739102. Retrieved December 9, 2015. ↑ "BBC Religions – Epiphany". BBC. November 7, 2011. Retrieved January 5, 2014. 1 2 "Nicholas Pokhilko, History of Epiphany". Sites.google.com. Retrieved December 22, 2011. ↑ "Today the Church has been joined to her heavenly bridegroom, since Christ has purified her of her sins in the river Jordan: the Magi hasten to the royal wedding and offer gifts: the wedding guests rejoice since Christ has changed water into wine, alleluia" (Benedictus antiphon, Liturgy of the Hours, Roman Rite). "Three wonders mark this day we celebrate: today the star led the Magi to the manger; today water was changed into wine at the marriage feast; today Christ desired to be baptized by John in the river Jordan to bring us salvation, alleluia" (Magnificat antiphon at Second Vespers, Liturgy of the Hours, Roman Rite). ↑ "The Feasts of the Church Year". Armenianchurch.net. Retrieved December 22, 2011. ↑ "Christmas in the Old Country". Armenianchurch.net. Retrieved December 22, 2011. ↑ "Nicholas Pokhilko, The Meaning of Water in Christianity". Sites.google.com. Retrieved December 22, 2011. ↑ "Past Events. HOLY TRINITY RUSSIAN ORTHODOX CHURCH, a parish of the Patriarchate of Moscow". ↑ St. John Chrysostom, Homily on Christian Baptism in P.G., XLIX, 363. ↑ "Bulgaria—Epiphany Day at an icy Sofia lake finds young men in hot pursuit. Belief holds that the first to reach the wooden cross, thrown by an Eastern Orthodox priest, will enjoy a year of good health. Photograph by Dimitar Dilkoff". Retrieved November 10, 2014. ↑ Dilkoff, D. (January 6, 2011). "Epiphany in Kalofer, Bulgaria". LA Times/AFP/Getty. Retrieved January 6, 2012. ↑ "Icy plunge for Epiphany in Bulgaria (Video)". Euronews. January 6, 2011. Retrieved January 12, 2012. ↑ "Dutch Children Act Out The Epiphany". British Pathe. January 16, 1968. Retrieved December 22, 2011. ↑ Wigder, Roberta C. (January 1, 1977). Brazil rediscovered. Dorrance Publishing Company, Incorporated. p. 37. ISBN 978-0-8059-2328-5. ↑ Gamal Mikhail, Albair (December 26, 2003). "Coptic Feast of Epiphany". CopticHeritage. Retrieved January 5, 2014. ↑ "Twelfth Night in England – Traditions and customs". Woodlands-junior.kent.sch.uk. January 1, 2004. Retrieved December 22, 2011. ↑ "Twelfth Night Celebrations – London". Woodlands-junior.kent.sch.uk. Retrieved December 22, 2011. ↑ "The Twelfth Day of Christmas". The Old Foodie. January 6, 2007. Retrieved December 22, 2011. ↑ Barooah, Jahnabi (January 19, 2012). "Timkat 2012: An Ethiopian Orthodox Celebration Of The Epiphany". Huffington Post. Huffingtonpost. Retrieved January 5, 2014. ↑ Finnguide.fi. "Finnguide: Finland Finnish Calendar Events : Epiphany (Loppiainen) Finland calendar events information". Finnguide.fi. Archived from the original on November 27, 2011. Retrieved December 22, 2011. ↑ "Epiphany factsheet". Official Website of France. Retrieved January 5, 2014. ↑ "L'Epiphanie: des galettes a partager!". Retrieved January 5, 2014. ↑ "Die Sternsinger bei Life Radio!". YouTube. December 30, 2008. Retrieved December 22, 2011. ↑ "108 Könige zu Gast bei der Kanzlerin". Abendblatt.de. January 4, 2010. Retrieved December 22, 2011. ↑ The Anonymous Mama (November 10, 2006). "How to Make Three Kings Cake > German Three King's Cake (Dreikonigskuchen)". Christmasspirit.wordpress.com. Retrieved December 22, 2011. ↑ "Epiphany – Three Kings". Mrshea.com. December 14, 2005. Retrieved December 22, 2011. ↑ "Theophany". OrthodoxWiki. January 15, 2013. Retrieved December 25, 2013. ↑ "National Holidays in Greece". www.justlanded.com. Retrieved December 25, 2013. ↑ "The Winter Pascha, Chapter 34: The Great Blessing of Water". Antiochan Orthodox Christian Archdiocese of North America. Retrieved December 25, 2013. ↑ "John_the_Forerunner". Orthowiki. Retrieved December 25, 2013. ↑ "ΗΘΗ ΚΑΙ ΕΘΙΜΑ ΤΩΝ ΘΕΟΦΑΝΕΙΩΝ". ↑ "La Fête des Rois". Fetedesrois.blogspot.com. Retrieved December 22, 2011. ↑ "INDIA Magi's journey in Chandor includes every caste". Asianews.it. Retrieved December 22, 2011. ↑ "Cansaulim village in Goa, Three Kings Feast in Cansaulim". Goaholidayhomes.com. Retrieved December 22, 2011. ↑ "Feast of the Three Kings today". The Times Of India. January 6, 2011. ↑ "Feast of Three Kings – Three Kings Feast Goa – Holy Epiphany Goa India". Bharatonline.com. Retrieved December 22, 2011. ↑ "Christmas and Epiphany". Nasranifoundation.org. Retrieved December 22, 2011. ↑ "New Year's Day to Epiphany – World Cultures European". Irishcultureandcustoms.com. Retrieved December 22, 2011. ↑ Roy, Christian (2005). Traditional Festivals. ABC-CLIO. p. 144. ISBN 9781576070895. Retrieved January 13, 2015. ↑ "Zvaigznes diena". Liis.lv. Retrieved December 22, 2011. ↑ "Zvaigznes Diena – Definition". WordIQ.com. Retrieved December 22, 2011. 1 2 "Maronite Eparchy of Australia – The Maronite Liturgical Year". Maronite.org.au. Retrieved January 6, 2014. ↑ "водици – резултати од пребарување – Дигитален речник на македонскиот јазик". ↑ Wong, Curtis (January 6, 2011). "Epiphany, Or Three Kings Day Celebrations Around The World (PHOTOS)". Huffingtonpost.com. Retrieved December 22, 2011. ↑ Vodici e neraboten den za pravoslavnite, Alfa.mk; accessed January 5, 2015. ↑ "Epiphany Concert opened to the public". timesofmalta.com. December 22, 2009. Retrieved December 22, 2011. ↑ Ricardo Botto. "Dia de Reyes, the story of Los Tres Reyes Magos". Mexonline.com. Retrieved September 26, 2013. ↑ Ricardo Botto. "No Hay Navidad Sin Jesús: La Bajada de Reyes". Celebrandonavidad.blogspot.com. Retrieved December 22, 2011. ↑ "Ephiphany Day Procession attended by thousands in Poznan". www.demotix.com. Retrieved December 25, 2013. ↑ "Poland Restores Epiphany Public Holiday". Qppstudio.net. Retrieved December 22, 2011. ↑ "Feast of the Three Kings – How Poles Celebrate the Feast of the Three Kings – Trzech Króli". Easteuropeanfood.about.com. April 17, 2011. Retrieved December 22, 2011. ↑ "Three Kings". www.inyourpocket.com/poland. Retrieved December 25, 2013. ↑ Barbara Rolek; About.com Guide (January 31, 2011). "Three Kings Cake Recipe – Recipe for Polish Ciasto Trzech Króli or Three Kings Cake". Easteuropeanfood.about.com. Retrieved December 22, 2011. ↑ "Epiphany (Portugal) (Día de Reis): Information from". Answers.com. Retrieved December 22, 2011. ↑ Figueiredo, Jose M. (January 5, 2011). "Portuguese Club party will be fit for a king". Wickedlocal.com. Retrieved December 22, 2011. ↑ carmen (January 7, 2010). "Boboteaza (Epiphany in Romania)". PocketCultures. Retrieved December 22, 2011. ↑ "Traditii si obiceiuri de Boboteaza". Crestinortodox.ro. Retrieved December 22, 2011. ↑ "Star Carol *Steaua". Roembus.org. Retrieved December 22, 2011. 1 2 Bute (Marquess of), John Patrick Crichton-Stuart; Budge, Sir Ernest Alfred Wallis (1901), The blessing of the waters on the eve of the Epiphany: the Greek, Latin, Syriac, Coptic, and Russian versions, edited or translated from the original texts, Oxford University Press, pp. 47 sq. ↑ "Epiphany in Russia – Baptism of Jesus". Goeasteurope.about.com. December 9, 2011. Retrieved December 22, 2011. ↑ Katia Moskvitch, Russia's trend for dipping children in frozen rivers; accessed January 5, 2015. ↑ "Tens of thousands bathe in icy water on Epiphany in Russia". En.rian.ru. January 19, 2010. Retrieved December 22, 2011. ↑ "Slovenska Istra- En". Slovenska-istra.si. Retrieved December 22, 2011. ↑ Moreno, Carolina (January 6, 2013). "Three Kings Day celebration, history and traditions behind El Día De Los Reyes". Huffington Post. Retrieved December 25, 2013. ↑ "Con un pasacalle se iniciarán las celebraciones de la Pascua de los Negros en Arica". www.soychile.cl. Retrieved December 25, 2013. ↑ "Carbón Dulce (Sweet Coal)". www.diamondsfordessert.com. Retrieved December 25, 2013. ↑ "ALcoy Three Kings Parade". Instituto de Turismo de España (TURESPAÑA). Retrieved December 25, 2013. ↑ Lisa & Tony Sierra (December 19, 2013). "Twelfth Night Bread Recipe – Roscon de Reyes Recipe". Spanishfood.about.com. Retrieved December 25, 2013. ↑ Chelsie Kenyon (December 18, 2013). "Rosca de Reyes". Mexicanfood.about.com. Retrieved December 25, 2013. 1 2 Staff. "Epiphany festival draws travelers to Tarpon Springs, Florida". masslive.com. Retrieved November 27, 2012. ↑ "Feast Day of Epiphany 2012" (PDF). Retrieved January 5, 2012. ↑ Schantz, Mark. "Tarpon Springs to again become Epiphany City USA". The Suncoast News. Retrieved January 5, 2012. ↑ "Great Fruitcake Toss". Colorado-for-free.com. Retrieved December 22, 2011. ↑ "Fruitcake Toss Day!". Gone-ta-pott.com. Retrieved December 22, 2011. ↑ "Some folks decided that 'Old Christmas Eve', which fell 11 days later on January 4, 1753, should be celebrated. ... the difference between the two calendars increased to 12 days after February 1800 and then to 13 days a century later. Thus shifting Old Christmas Eve to January 5 and then to January 6" (The Change to the Gregorian Calendar in England, Wales and Scotland). ↑ "Wales on Britannia: Welsh Culture & Traditions". Britannia.com. Retrieved December 22, 2011. Wikimedia Commons has media related to Epiphany (holiday). Look up Epiphany in Wiktionary, the free dictionary.